If true, the statistical claims are staggering, making the area more strategically significant than previously imagined by many. But there are reasons to doubt the numbers, even if the original source for these two figures appears to be a 2015 report  from scholars at the Fisheries Economic Research Unit of the University of British Columbia. China’s complement of motorised fishing vessels, reported  by the UN Food and Agriculture Organization (FAO) at around 650,000 in 2016, is indeed well ahead of the second closest in the same report (Japan, at 242,000). 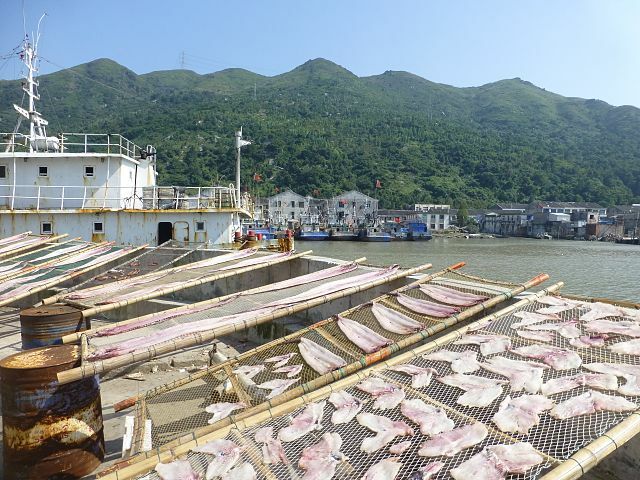 China had an estimated 378,000 non-powered fishing vessels. Data from the Southeast Asian Fisheries Development Center  in 2016 indicates that Indonesia had a total of 568,000 fishing vessels, of which 143,000 were non-powered. China had around 378,000 non-powered fishing vessels in 2016, according to the FAO. But before jumping to any conclusion about who dominates fisheries in the contested mid-ocean areas of the South China Sea, we should note that the overwhelming majority of Chinese powered fishing vessels operate along the coastal fringes of the country, of which at least one-third (depending on how one measures it) is constituted by the South China Sea coastline of the mainland and Hainan. This littoral focus of China’s fishing fleet can be seen in data from credible sources, such as Global Fishing Watch . Another recent source reliably reports  the global hotspots of fishing as the ‘northeast Atlantic (Europe) and northwest Pacific (China, Japan, and Russia) and in upwelling regions off South America and West Africa’. The South China Sea is not mentioned. For 2016, the FAO reported the catch  of all ASEAN countries with a coastline on the South China Sea at around 15 million tonnes, out of a global total of 93 million tonnes. The share of world output for these selected ASEAN countries was just over 16%. This compares with China’s capture fishery production of 17 million tonnes, or a global share of 19% in 2016. The available statistics don’t allow us to know what share of those catches were in the South China Sea or the other large maritime spaces bordered by Indonesia, Malaysia and the Philippines outside the South China Sea. We do know , from a Chinese academic source, that four of China’s provinces bordering the South China Sea (Zhejiang, Guangdong, Hainan and Guangxi) were responsible for 50% of China’s total marine catch from all areas in 2015. China introduced fish conservation measures in the South China Sea beginning in 1999, sometimes treading on international law to do it, so we can assume that the area is at risk of overfishing, as AMTI suggests. Helpful sources that explain the statistical complexities well  and even support that conservationist argument can be found. Yet even those sources don’t address the clear imputation by AMTI: that Chinese fishing vessel activity in the mid-ocean disputed areas (as opposed to littoral areas) is on such a massive scale that it represents the main conservation threat.